Home / Books / Subjects / MOBILITY OF THE FUTURE: Discover the most relevant use cases of the mobility of the future. How artificial intelligence, electric vehicles and other techs are shaping the future of transportation. 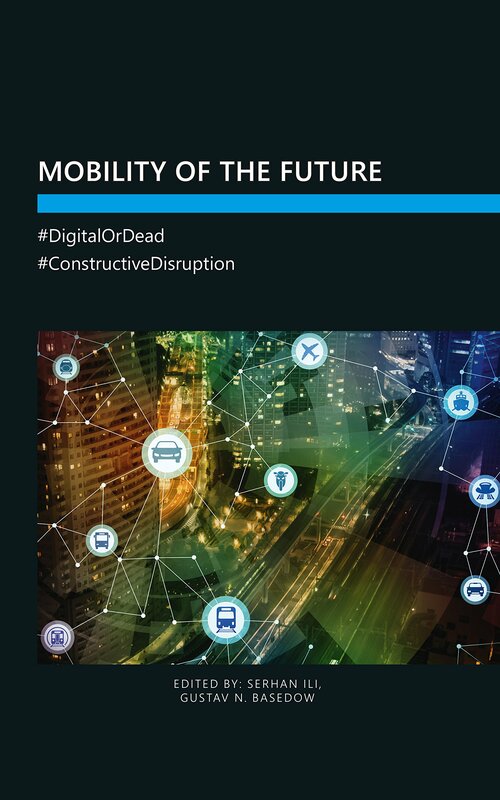 This book shows different perspectives how leading firms and institutions conceive, shape and develop eco-systems for the mobility of the future. The book includes contributions by renowned experts at innovative firms and leading institutions, such as ADAC, Center of Design Research (CDR) and Stanford Graduate School of Business at the Stanford University, DB Schenker, Deutsche Lufthansa, E.ON, E.ON Inhouse Consulting, German Aviation Association (BDL), HERE Technologies, ILI CONSULTING, Institute of Product Engineering (IPEK) at the Karlsruhe Institute of Technology (KIT), MaaS Global, MAN, Neue Zürcher Zeitung (NZZ), PTV Group, RIO – a brand of Volkswagen Truck & Bus, Sono Motors and ZF Friedrichshafen. Joachim Drees, Chief Executive Officer, MAN: “The transformation process that we face will, however, be more extensive and profound than ever before.